My husband & I would like to thank David Heath from Huronia Pools for his dedication to helping out customers of Hydropool Spas. We purchased a used 550 model privately and had some questions regarding installation. Not only was he very helpful, he also made a check up call to see how things went. These days it is hard to find someone so dedicated. Hydropool should be proud of such a company representing them. Thanks again David for your help. The best part of your store is Monique. Your staff provides us with all the instructions we need year after year with much patience. Thank you!!!! The thing I like most about your store is actually your staff – Monique & Corrina. Many thanks to everyone in the “firm” for a job well done! Your staff is very friendly and knowledgeable. 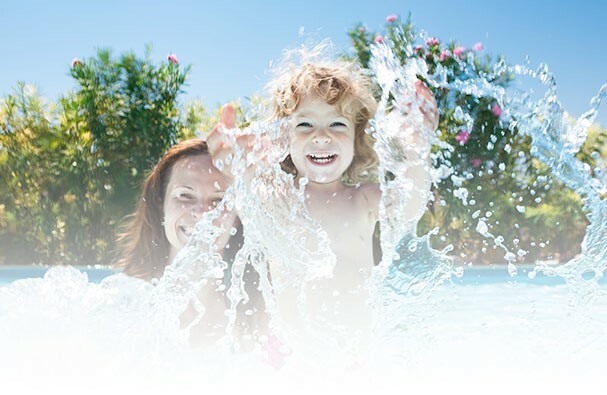 We lost our pool due to being away and your staff tested our water, sold us exactly what we needed and our pool was back in good shape very quickly. Thank you – keep up giving your excellent service to us and we will keep coming in! The sales people, the prompt service and the service technicians are excellent. We were losing water in our pool and your service people were fantastic. It’s a pleasure doing business with people who enjoy their business!